Party Venue Decoration is one of the expensive tasks that you have to do to throw a fantastic party for your guests and loved ones. 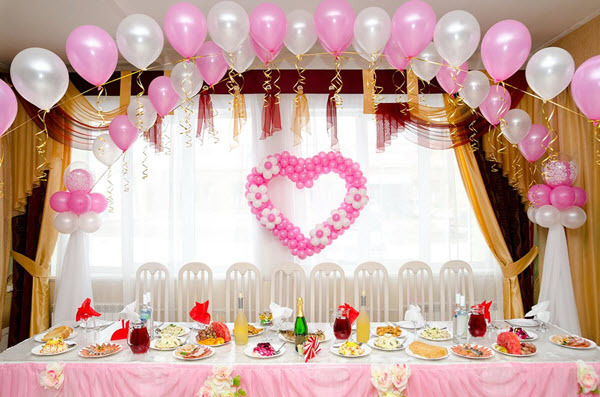 No doubt, organizing a lavishing party is directly related to having organized a delicious food, party area, and planning an extraordinary party venue with a unique balloon decoration ideas that can attract your guests at the first instance. If you are planning to throw a mesmerizing party for your friends, relatives, loved ones, and other people who are connected to you, you must go through this content to get some refreshing party venue decorating ideas using party balloons. Here we go. There are some things to consider before you decorate your venue using party balloons. Well, the first and the most important thing that you need to finalize on is to finalize the type of the party balloon that the decorators would be using to decorate your venue. There are different types of party balloons. You can choose any type depending upon your budget and venue location. There are latex, nylon, rubber, a Hot air balloon and many other materials of balloons that you can easily choose from to control your budget. Then is the type of fluid whether air, helium, or any other liquid like water you would finalize to inflate the balloons effectively. The size of the balloon also matters for the location. If you have selected some bigger area, you can consider finalizing bigger-sized balloons to control your pocket-size and decorate your party area. There are some transparent to translucent balloons available with the decorators; you can choose any style that best matches your venue and the party reason. You can choose colorfully or contrast colors balloons to create an impressive impact on your party venue. You need to consider the balloon decoration style as well. You can ask decorators to create wonderful designs like balloon arches, heart-style, cartoon style, or any other unique style that can leave your guests stunned. It is important to create a centerpiece and think its place of location. It is always a better idea to either create a centerpiece and place it at the center of the stage or create some nice backdrop where your guests can pose great pictures and click beautiful selfies. You may blow some colorful balloons and let them enhance the beauty of the party floor flawlessly. Your guests will like the passage when they move the floor that is beautifully decorated with some nice collection of colorful balloons. There are many more ideas that you can think of and try to throw a memorable party. You may buy party balloons from online stores as well. Above are some of the different thoughts to decorating your venue using party balloons. Hopefully, you liked the idea and would consider it to surprise your guests with this unique concept.